Jose Mourinho has suggested Manchester United do not have the squad to win the Premier League title by refusing to answer questions about his team's chances. The Portuguese coach has signed Fred, Diogo Dalot and Lee Grant this summer as he looks to bridge the gap with champions Manchester City. He wants to sign two more players before the transfer deadline but has admitted it may not happen. And asked at a news conference at UCLA on Tuesday whether his squad is good enough to challenge for the title, Mourinho again appeared downbeat. "I do not answer your question," the United manager said before refusing a request to elaborate. Mourinho was also asked to expand on an ESPN FC interview he gave on Monday where he seemed to suggest Paul Pogba needs to focus more on his football if he hopes to recreate his World Cup form for France at Old Trafford. Again, however, the 55-year-old declined the chance to comment. "I told already," he answered when asked what it will take for him to be happy with the midfielder. Pogba is one of 11 senior players who are not in the United States after their exertions at the World Cup after France's run to the final. Marcus Rashford, Jesse Lingard, Marouane Fellaini and Romelu Lukaku are likely to miss the start of the season after reaching the semifinals and Mourinho admits he is worried ahead of their opening clashes against Leicester and Brighton next month. "The first match of the season is against Leicester and the second one is against Brighton and I look to Leicester, if I'm not wrong, only [Harry] Maguire and [Jamie] Vardy were in the World Cup in the final phase, because [Kasper] Schmeichel was back sooner, so I think a team working for six weeks minimum with all the players except one defender and one striker that can join in the last weekend and probably be available, is clear it's a much better situation for them. "When I look to Brighton, I don't think they have any player that isn't doing a very good preseason with lots of training and matches. "So against Leicester and Brighton, the situation is not amazing for us. I would say third match, playing against a team in a similar situation as us, after three weeks is OK, is almost like you need a preseason with them, but for the first two matches we have to fight for the points, so that is what we are going to do with the players available." Mourinho's squad will be boosted this week with the arrivals of Fred and David De Gea. Nemanja Matic has already started training after arriving in the U.S. on Saturday. 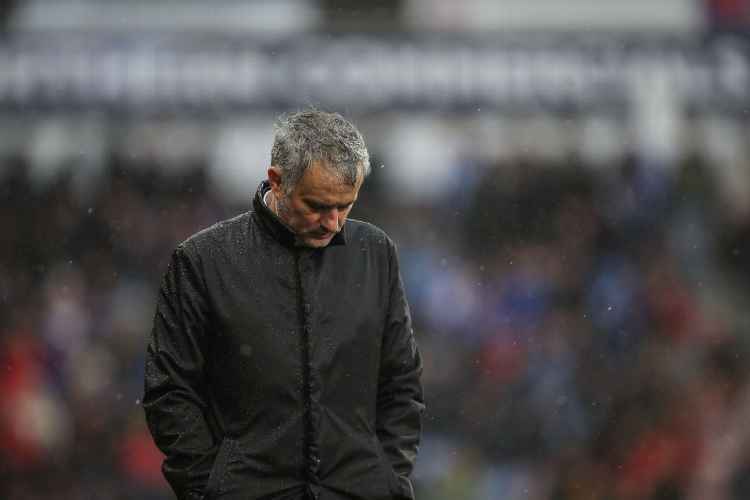 However, Mourinho is still in the dark about whether Marcos Rojo will fly to America after Argentina's early exit in Russia because the defender is injured. He added: "I don't know. He's with the medical department, in contact since the World Cup, where he had the World Cup with some physical problem and the medical department has to make [the] decision if he joins us here or if he goes to Manchester for recovery and waiting for the team to be back."